Rauma skisenter in Skorgedalen – a skiers paradise! Buy your ski pass online here! Rauma Skiresort is situated only 20 min driving from Åndalsnes. Skorgedalen is a popular ski resort for both crosscountry skiing and alpine skiing. Skarven and Smørbotntind are popular summits that offer great downhill runs. To get there you have to drive the road 64 from Åndalsnes to Molde. Take off road 64 about 20 km from Åndalsnes. follow the signpost towards Rauma Skisenter. This mountain road is called Skorgedalsvegen, and lead you to a great area for outdoor activities, winter and summer. Here you find great prepared ski trails, a ski lift with good conditions for downhill, telemark and snowboard. Book your ski pass online here! Toll road fee in Skorgedalen of NOK 85. Pay with debit or credit card. Smørbotntind, a great summit for randonnee skiing. Skarven og Smørbotntind are popular mountains for ski touring, providing a fantastic view and awesome descents. The terrain is perfect for cross country and backcountry skiing. 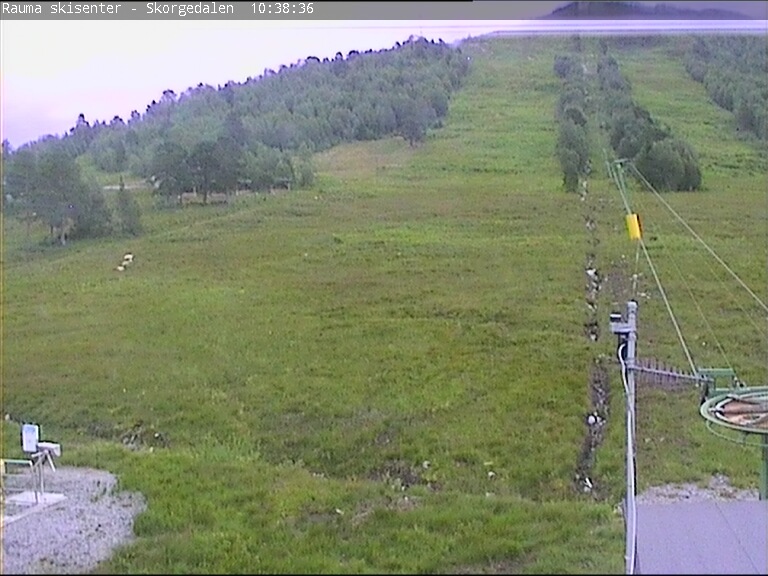 Take the ski lift to the top of the mountain, and you can cross over to Strandafjellet. The ski trails follows the ridge of Strandafjellet, and you’ll have a fantastic view all the way. This is a gentle ski tour, suitable for everyone from school age with a little bit of ski experience. A good rule for ski touring in the mountains: Make sure the weather conditions are on your side, and don’t go off piste unless you are hundred percente sure that the area is safe. Make a call to ask if the ski trails are newly groomed. For prices and updated information visit Rauma Skisenter’s homepage. A brand new avalanche senter has opened at Rauma skisenter. You are welcome to our test senter to try out avalanche equipment. There are 4 shelters with fireplace beside the slope. Here you can enjoy your hot meal, cooked on the fire. You need to bring your own food.